These Brooks Greenlight Capris are designed with DriLayer HorsePower technology which wicks away moisture from the body as well as offering that added extra boost you may need to push yourself that little extra further. Its stretchable fabric allows your body to move freely and without irritation thanks to its flat lock seams. 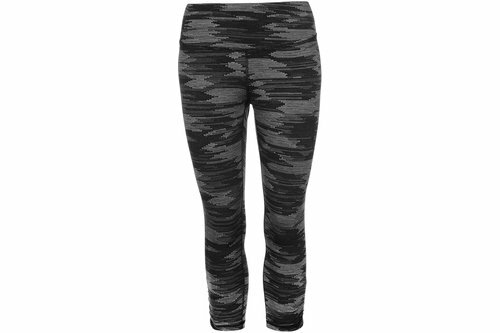 These running capris feature an all over pattern, ruche effect to the leg hems, elasticated waistband and two discreet internal small pockets. A reflective Brooks logo sits on the hip to complete the overall look.